Home building is a something that many people choose to do every year and having a brand-new home that you love and can design on your own is a great feeling. Hiring a professional home builder is the best way to go when you want quality work that will last a lifetime. Knowing more about the jobs that these home builders do can also be an ideal way to find out if they’re who you need to hire when the time comes to build a home for yourself. When you want to have a home built, you need to speak with professional contractors that can not only listen to the needs that you have, but also make your ideas become a reality. Home builders can not only draft up a copy of the home that you’d like, but they can also put the pieces of the home together. While home builders usually call in help from other professional contractors, they can ensure that the house you want is the perfect one. Electricians and plumbers are required for many pieces of the home and they likely work with some in the field, allowing you to have professionals come out and do this work, while they continue to work on the structure and inside of the home. 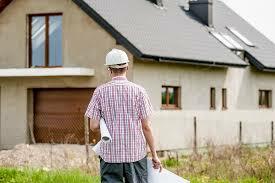 Home builders will help you build a home on a piece of land of your choice. Speak with them to get a quote for the home, as well as have blue prints drawn up of the house you’d love to have built. Home building contractors are the ones for the job! They can come in and make your home’s idea into a reality, allowing you to live inside it. Contractors Today has connections to the home builders working in your area. If you’d like more information or to find a contractor, fill out our form below or give us a call today and we’d be happy to help!